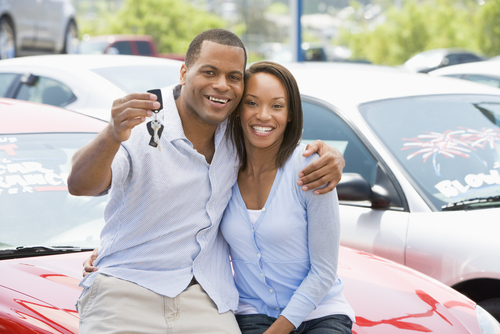 Reports from Autodata Corporation show that the motor vehicle sales increased dramatically in November. Sales increased from an annualized 14.3 million units to 15.5 million. The increase represents a jump of 8.7%, one of the larger month-to-month gains. This comes after a drop of almost 4.5% in October. Late in the month of October, hurricane Sandy swept through the East Coast. While people were preparing for the storm, they put off buying a new car. After the storm, the first part of November, sales for motor vehicles were still slow. But as they got their homes put back together, there was a need to replace vehicles. Many were damaged or destroyed by the storm, and people flocked to the dealerships. Combine a sudden demand for vehicles with record low interest rates, and you have an equation for strong auto sales. The November sales report shows the highest annualized sales in more than 4 years. While 2008 and 2009 saw sales drop sharply, the low interest rate environment has seen them climb back up sharply. While it may not make much sense for many people to be out purchasing new vehicles with the looming fiscal cliff, consumer confidence has been much higher recently than it has been in the past few years. Auto sales are a great leading indicator of economic movement. When sales start to pick up it means that the economy is getting stronger. Strong sales will translate to higher profits for the auto manufacturers, these higher profits will lead to higher stock prices. The higher stock prices lead to an overall increase in the market which in turn drives consumer confidence even higher. The auto sales report is issued once per month. The report shows annualized sales data for the previous month and is not revised. The report does not account for months that are longer than others.